Aftermarket tilt steering columns can be purchased for use with stock steering systems, and are also offered as an option with our rack-and-pinion package. Column lengths are specific to our rack-and-pinion installation and provide improved universal-joint alignment compared to competitors aftermarket columns. Columns feature 8-position tilt mechanism, self-canceling turn signals, Ford turn-signal switch and top shaft, and floor mount with replacement gasket. Notes: Use with factory steering systems will require modification to the factory steering shaft or rag joint. Aftermarket columns are not compatible with Rally-Pac gauge pod. Customers using 2"-diameter aftermarket columns from other manufacturers can purchase our accessory kit to solve many of the potential installation issues. 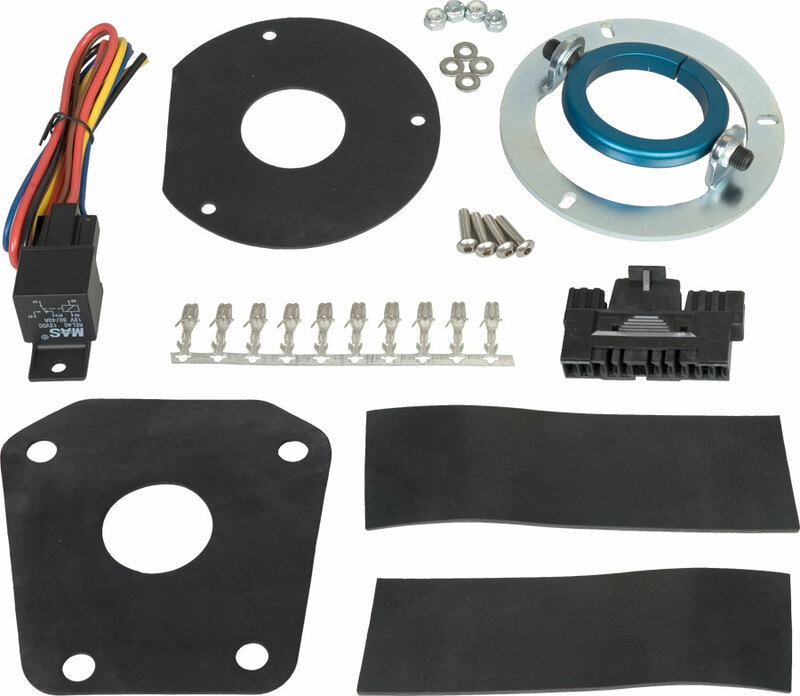 Electrical connectors, horn relay, firewall gasket, and OEM bracket shims are available to complete column installation. Instructions include a color-coded wiring harness diagram. The trim-to-fit vibration dampening shim material wraps the 2 column tube, increasing its diameter to allow OEM under-dash- or firewallcolumn mounts to securely hold the smaller aftermarket column. Pivoting, billet-aluminum firewall-mount assemblies are supplied for vehicles not equipped with a factory mount.